...for a crazy kid. Lord knows what's going on inside that head. Although I tried, I couldn't convince Cameron that a conventional beanie with a single pompom on top was better than looking like Blinky Bill. But he's only six, so I will excuse his lack of savoir faire with regard to his headwear. His friends probably won't. I have been knitting for years, but don't extend myself too far beyond casting on, knit stitch, purl stitch, and binding off. If you throw a cable or a bobble into the mix, I become thoroughly confused and afraid. Besides which, it's a hat for a child, and will thus be lost or ruined within a fortnight anyway. Yarn needle to weave in ends and sew pompoms on. Cast on 88 stitches. Place a stitch marker onto your right needle to mark the beginning of the round, (and be careful not to twist your stitches!) Work in single rib (K1,P1,K1,P1 etc.) for 24 rows. Then work 33 rows in knit stitch only (your hat should measure 23 centimetres from beginning row). Transfer stitches to regular needles (44 on each needle) and bind off using the three needle bind off method (use this excellent tutorial at good ol' Knitty.). Now, I use my circular needle as the third needle when using this method. 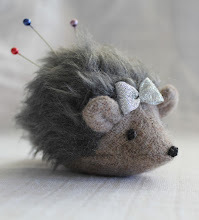 You may not like the feeling of your circular needle bouncing about, so you can use a similarly sized double point or regular needle. Make two pompoms with a 6.5cm outer diameter and 2.5cm inner circle (go here if you are pompom illiterate) and attach to the corners of your hat. 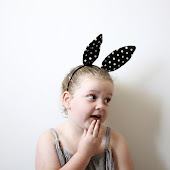 Weave in the ends, fold the brim up and stick it on your child's head. Point and laugh. I know you are probably feeling ripped off and thinking to yourself, "That's a knitting pattern??!" Apologies, but it is in my world. Admittedly, it looks really very slack when you write it down and include other sites' links for all the tricky bits. Those bloggers and instructors are a whole lot smarter than me. Kudos to them! 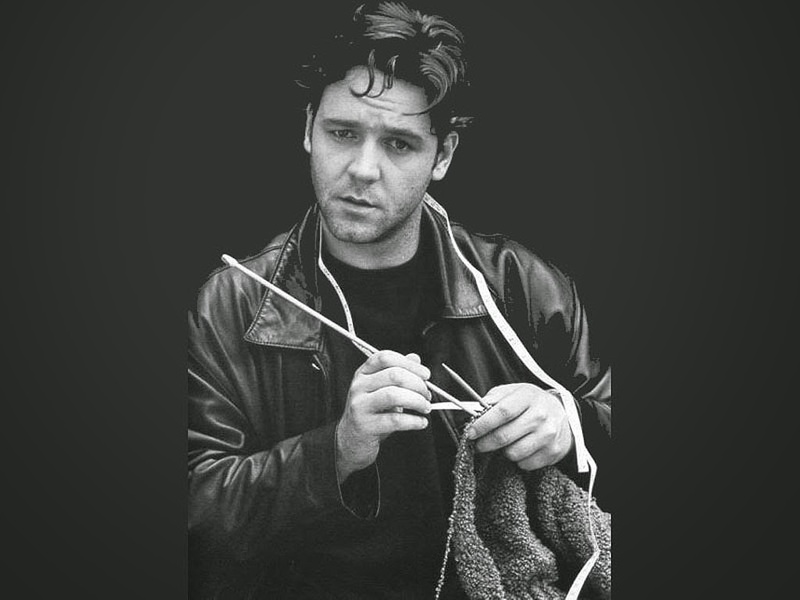 Yes, when it comes to complex knitting, I have to confess that I am no Russell Crowe. See? Now, that looks like serious stuff. Great write-up! Now I just need a child to knit this for (don't think my 28 yo Navy guy would wear this cute as it is!). Perhaps Russell Crowe will post his hat?? Thanks for the ridiculously easy pattern! Love this pattern and who really cares if it's easy when it look's so cool, knit it a couple of times now and my latest idea is to omit half the rib length and pop on a couple of ear flaps as the wind here regularly hit's 100mph so I need to protect little ears, thanks again. Great pattern! I'm finished knitting, now just need to learn the three needle bind off. Thanks for the link!